Cutting Edge Technology | Thermal Technology Services Inc.
International Paper Company (NYSE: IP) is an American pulp and paper company, the largest such company in the world. It has approximately 59,500 employees, and it is headquartered in Memphis, Tennessee. 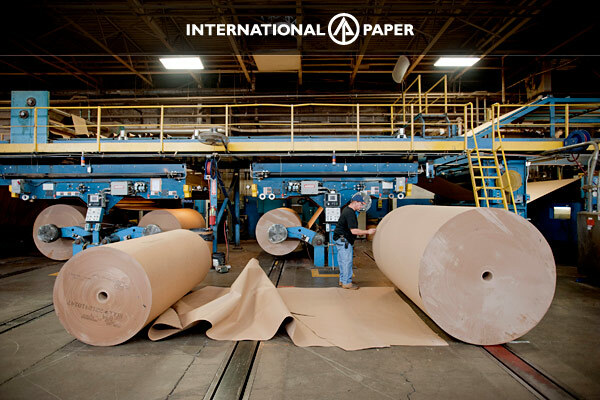 International Paper is the largest producer of plastic lidsand paper cups, manufacturing for the fast-food giantsMcDonald’s, Wendy’s, Subway and coffee giantStarbucks. The Wood Products division of International Paper was sold in 2007 to West Fraser Timberland Inc., a company headquartered in Vancouver. The company currently produces printer and copier paper, envelopes, corrugated packaging and shipping containers, consumer packaging for cosmetics, home entertainment and other retail markets, and food service packaging. It also owns xpedx, a large North American distribution and logistics company. Thermal Technology Services has processed international Papers Chipper Blades and They are reporting 3 times the life.